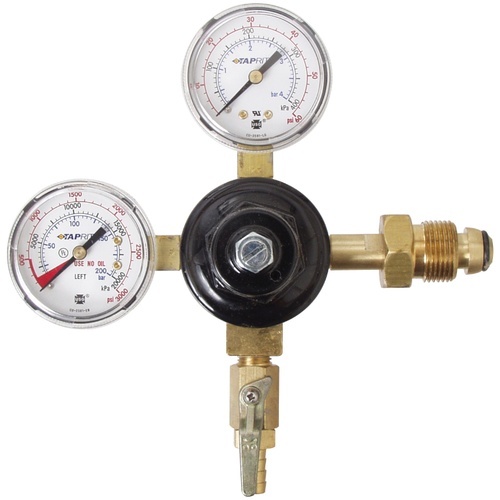 A high quality dual guage Nitrogen and Argon regulator for beer or winemaking. This can be used to dispense Argon, Nitrogen, or BeerGas mixes (used for Guinness, and some other draft beers). CGA 580 Regulator, Made in the USA by Taprite. Boxed individually in cardboard boxes. Master pack quantity is 8 per case.